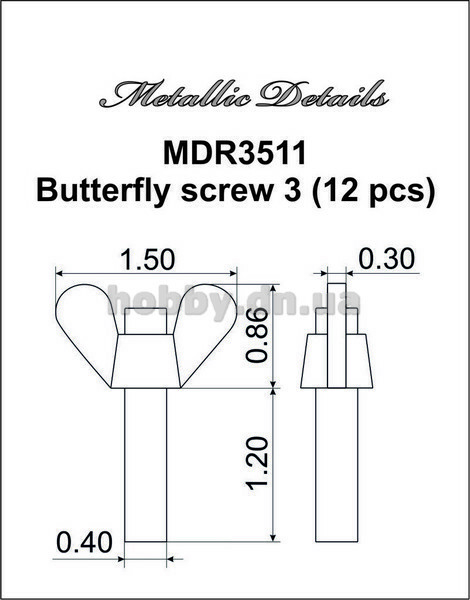 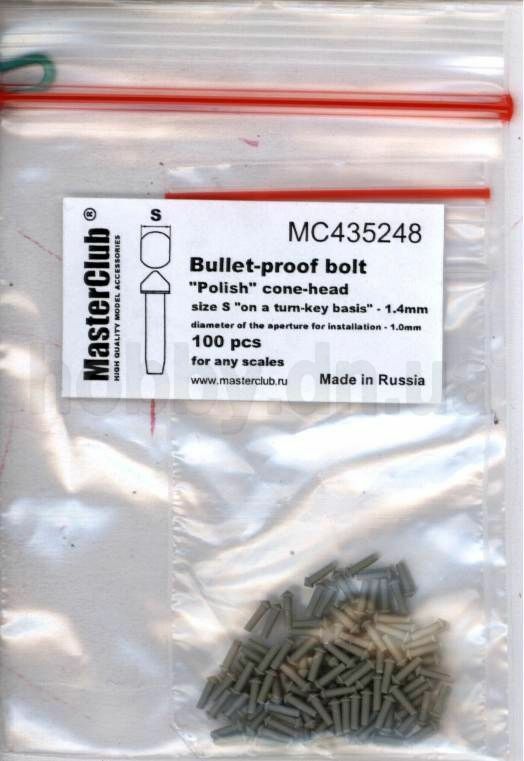 MC435241 "Polish" Cone-head bullet-proof bolt, diameter of the head-0.5mm, diameter of the aperture for installation-0.4mm, 160 pcs. 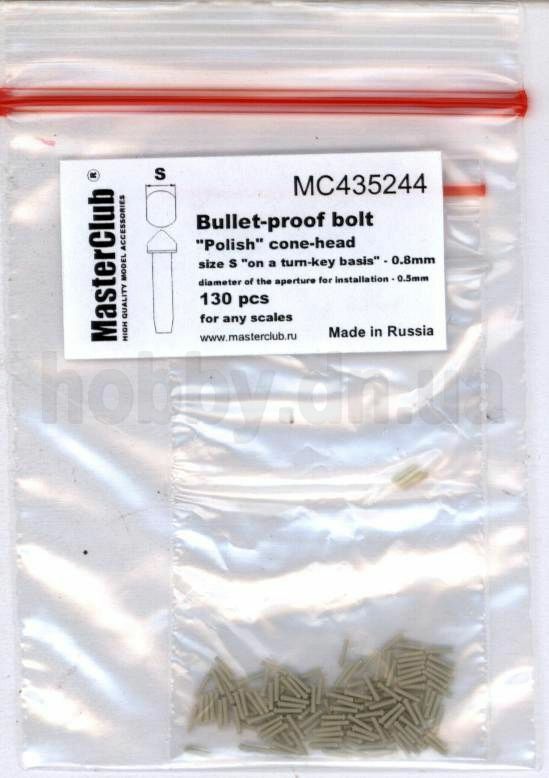 MC435242 "Polish" Cone-head bullet-proof bolt, diameter of the head-0.6mm, diameter of the aperture for installation-0.5mm, 150 pcs. 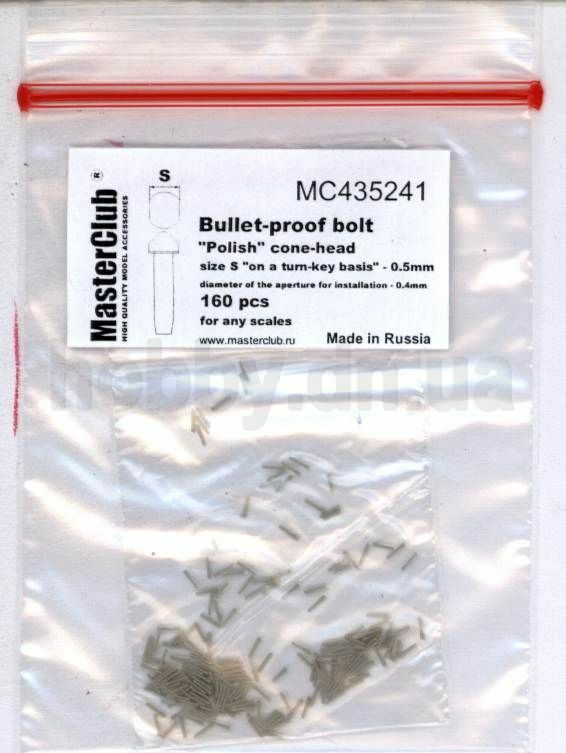 MC435243 "Polish" Cone-head bullet-proof bolt, diameter of the head-0.7mm, diameter of the aperture for installation-0.5mm, 140 pcs. 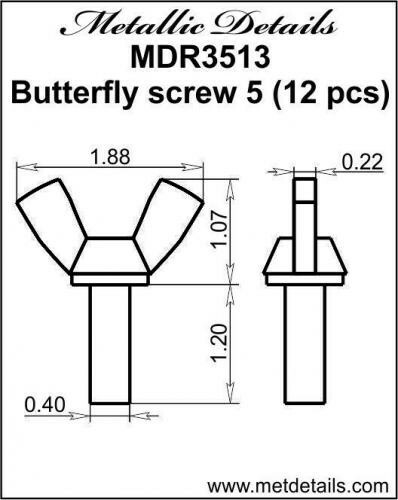 MC435244 "Polish" Cone-head bullet-proof bolt, diameter of the head-0.8mm, diameter of the aperture for installation-0.6mm, 130 pcs. 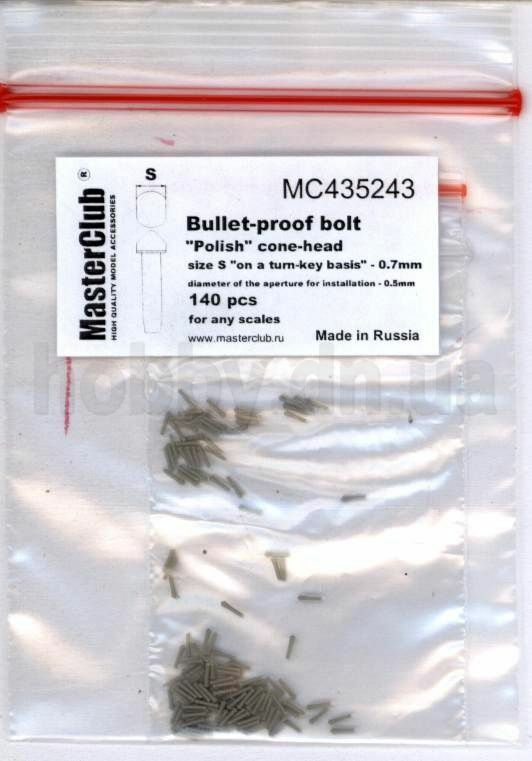 MC435245 "Polish" Cone-head bullet-proof bolt, diameter of the head-0.9mm, diameter of the aperture for installation-0.7mm, 120 pcs. 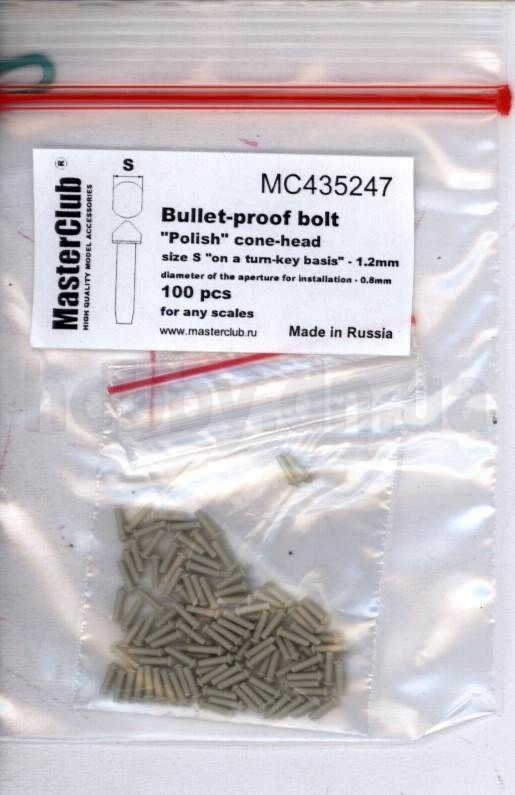 MC435246 "Polish" Cone-head bullet-proof bolt, diameter of the head-1.0mm, diameter of the aperture for installation-0.7mm, 110 pcs. 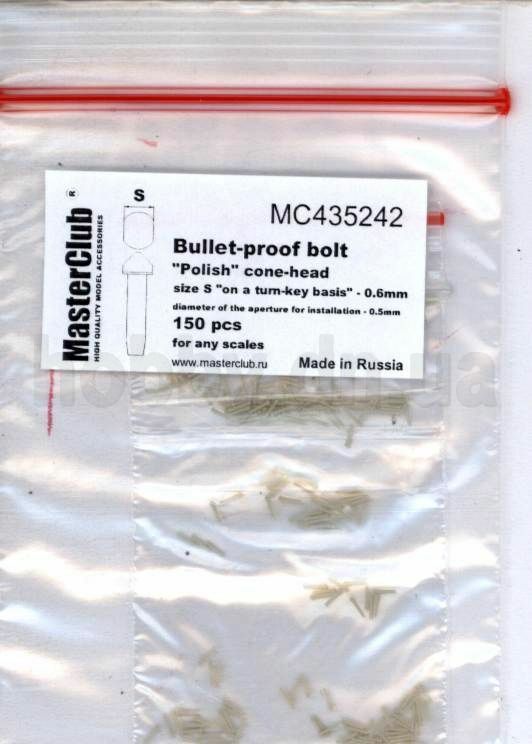 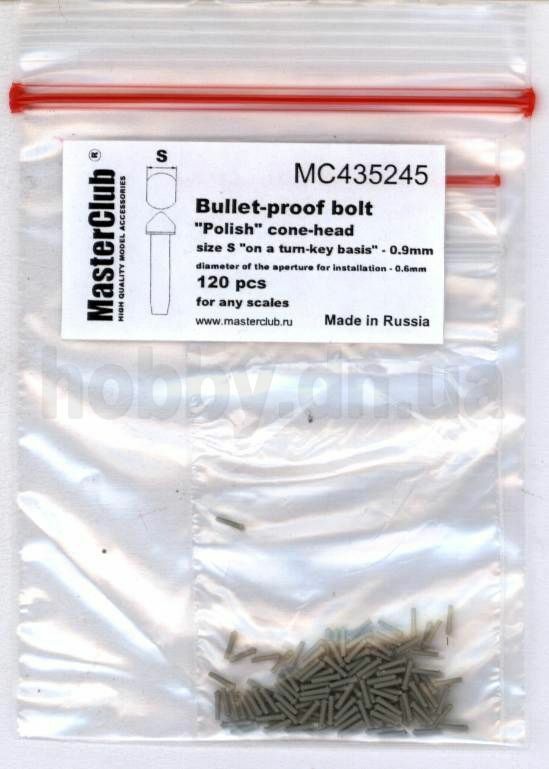 MC435247 "Polish" Cone-head bullet-proof bolt, diameter of the head-1.2mm, diameter of the aperture for installation-0.4mm, 100 pcs. 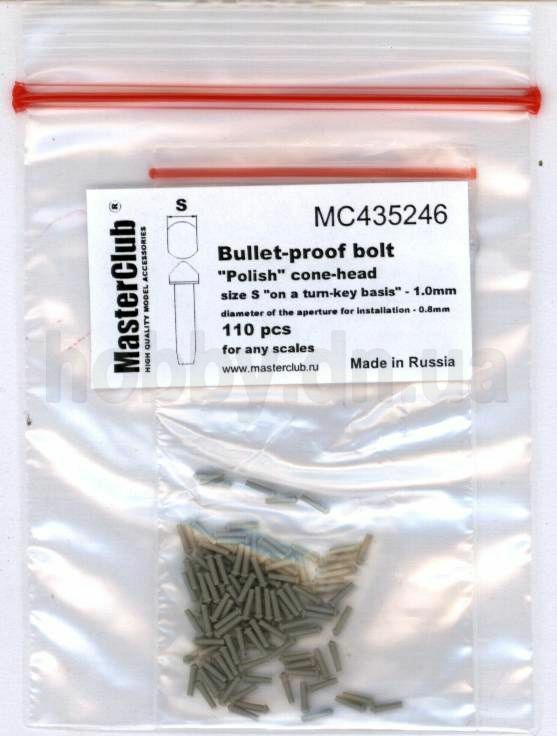 MC435248 "Polish" Cone-head bullet-proof bolt, diameter of the head-1.4mm, diameter of the aperture for installation-1.0mm, 100 pcs. 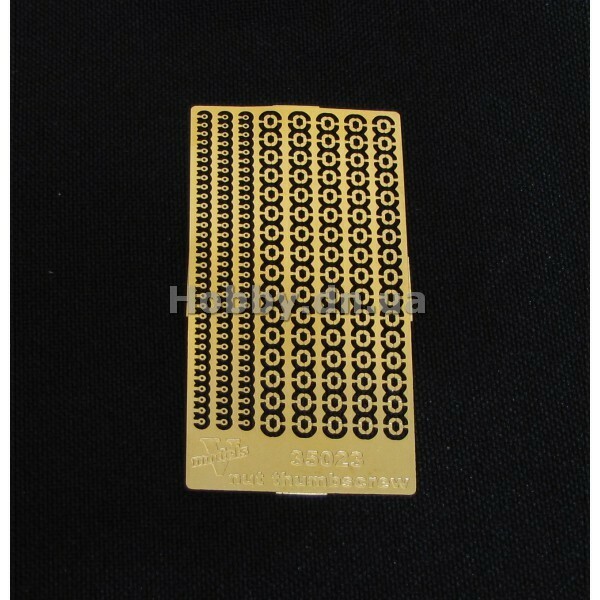 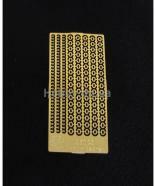 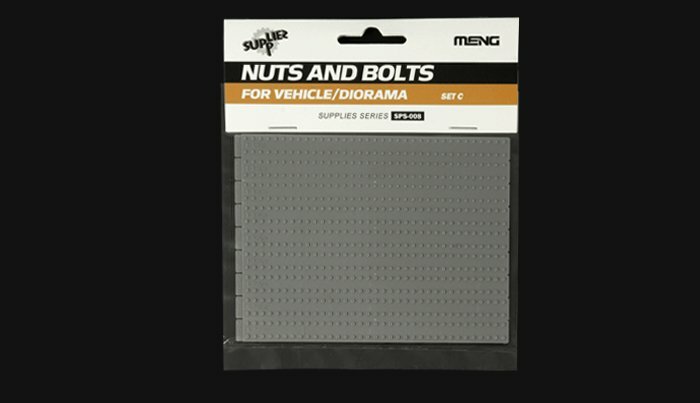 MENG SPS-008 Nuts and bolts D 1,3 (210 pcs.) 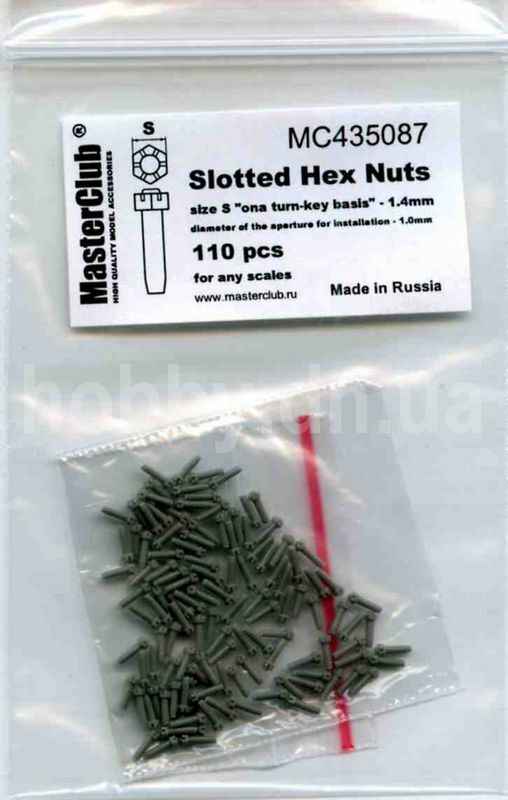 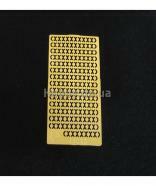 - 1,5 (210 pcs.) 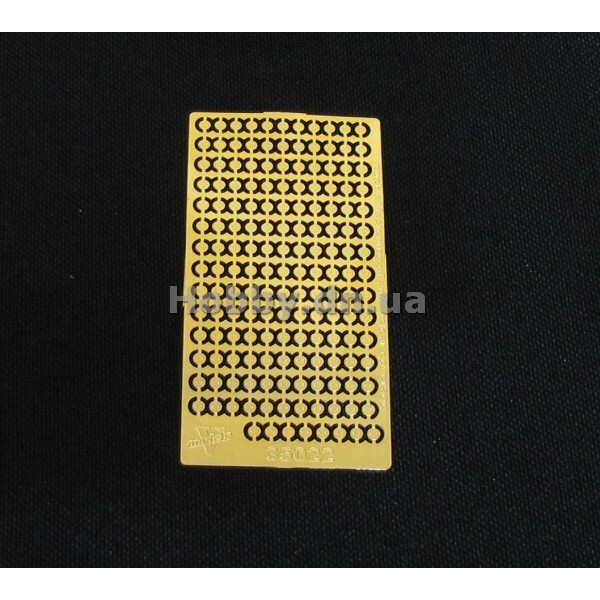 - 1,7 (210 pcs.) 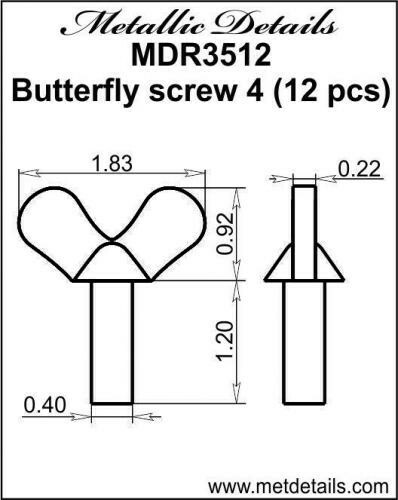 mm. 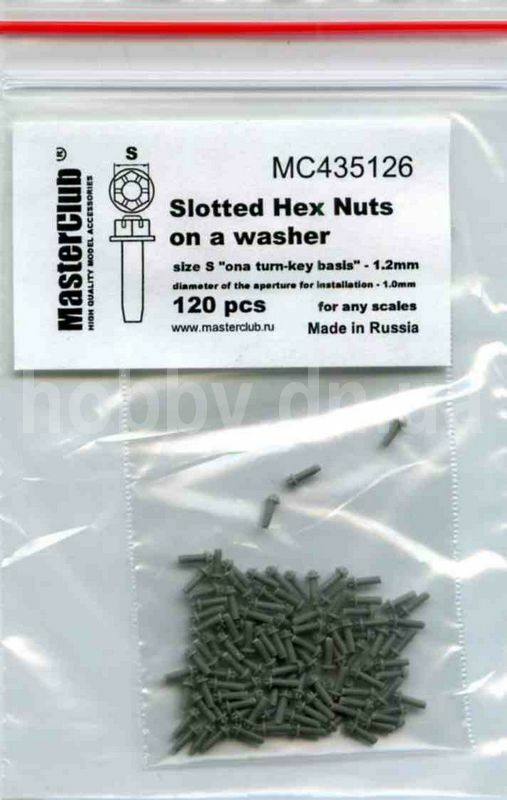 MC435121 Slotted Hex Nuts on a washer, size S "on a turn-key basis" - 0.6mm; diameter of the aperture for installation-0.5mm; 150 pcs. 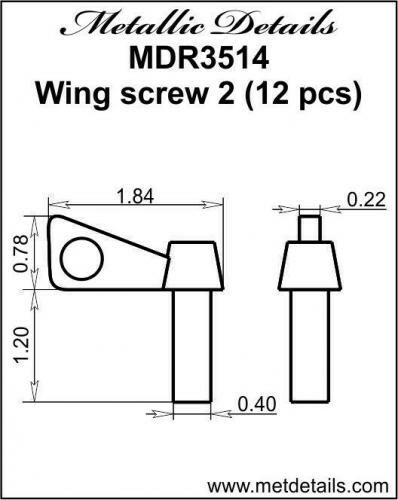 MC435089 Slotted Hex Nuts, size S "on a turn-key basis" - 1.8mm; diameter of the aperture for installation-1.5mm; 100 pcs. 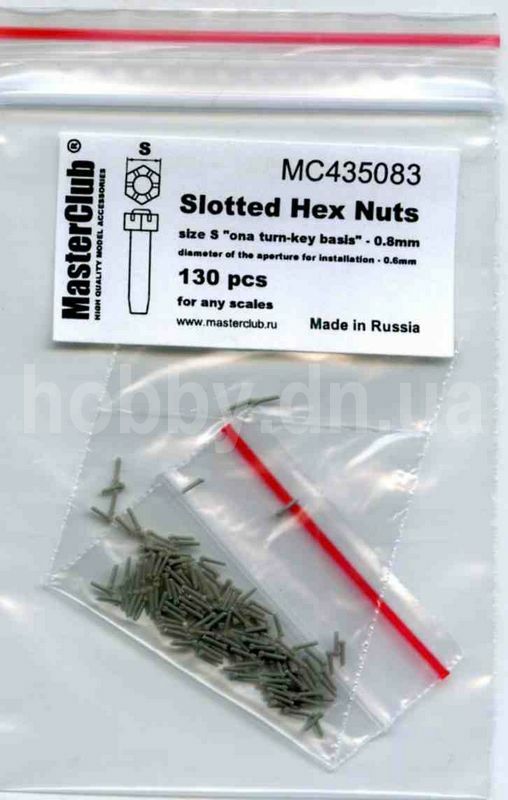 MC435087 Slotted Hex Nuts, size S "on a turn-key basis" - 1.4mm; diameter of the aperture for installation-1mm; 110 pcs. 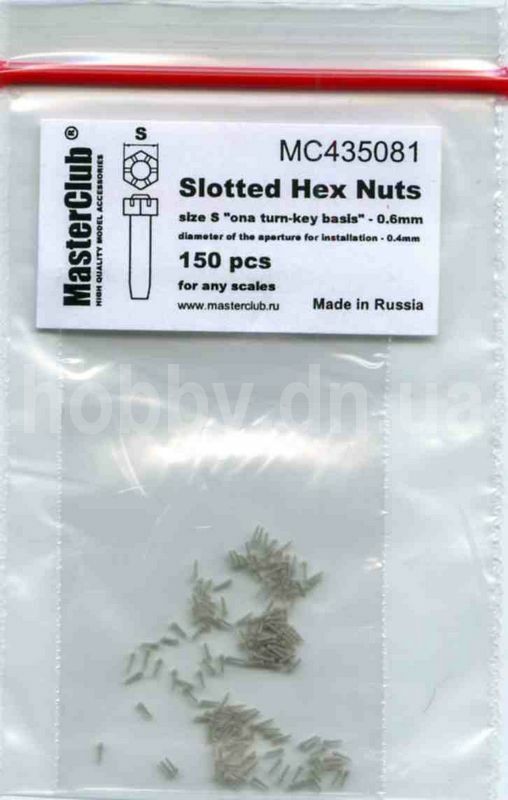 MC435085 Slotted Hex Nuts, size S "on a turn-key basis" - 0.5mm; diameter of the aperture for installation-0.4mm; 160 pcs. 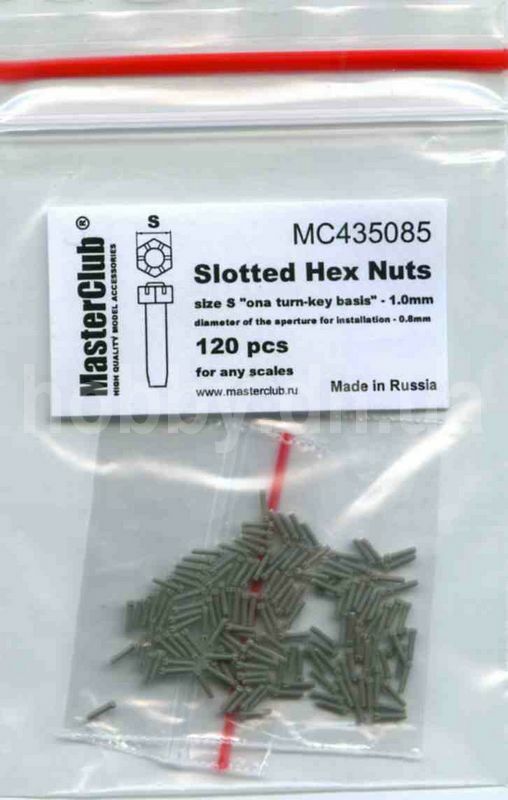 MC435083 Slotted Hex Nuts, size S "on a turn-key basis" - 0.8mm; diameter of the aperture for installation-0.6mm; 130 pcs. 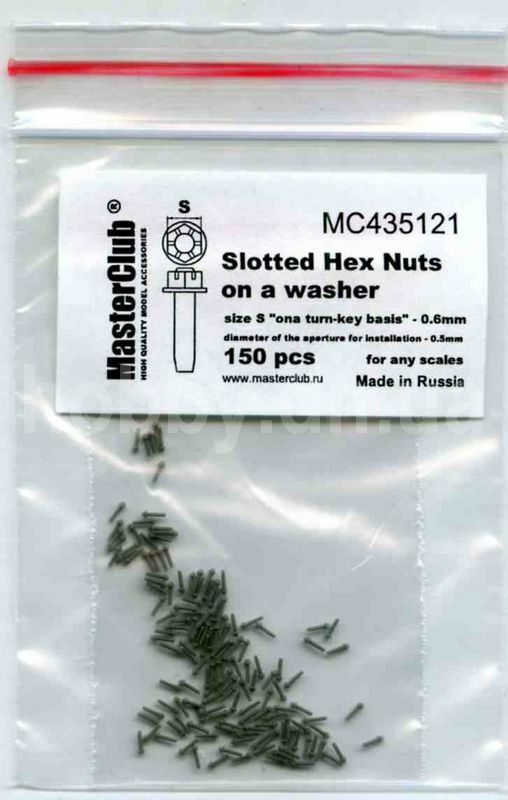 MC435128 Slotted Hex Nuts on a washer, size S "on a turn-key basis" - 1.6mm; diameter of the aperture for installation-1.5mm; 100 pcs. 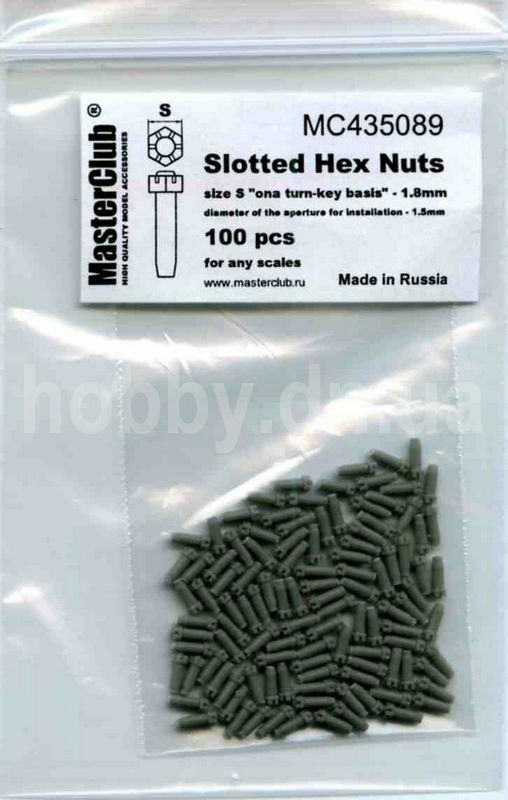 MC435081 Slotted Hex Nuts, size S "on a turn-key basis" - 0.6mm; diameter of the aperture for installation-0.4mm; 150 pcs. 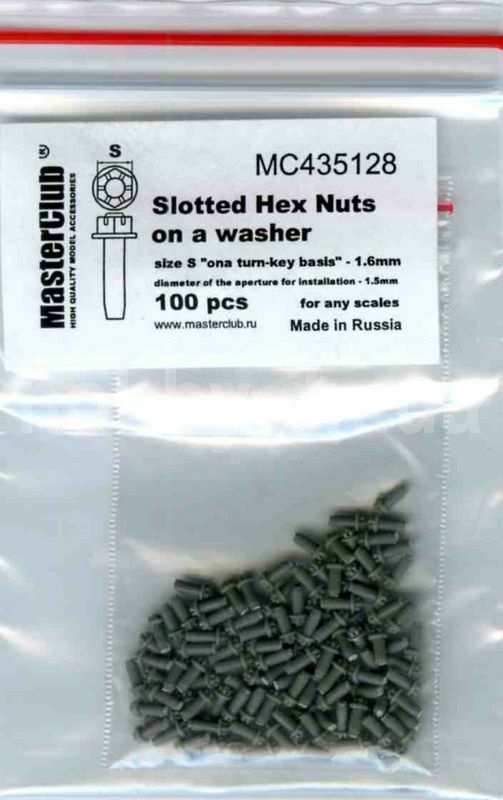 MC435126 Slotted Hex Nuts on a washer, size S "on a turn-key basis" - 1.2mm; diameter of the aperture for installation-1mm; 120 pcs.